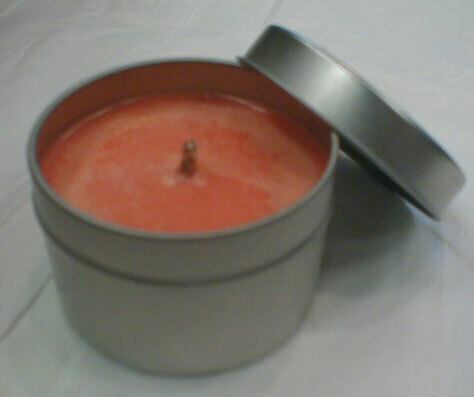 We have a wide variety of soy candles, More pictures and more information to follow. Please check back for updates or email for pictures or requests! Soy Seamless tins: Beautiful silver tins with lids make great portable, storable, loveable candles possible. The lid holds all the scent in till you want to smell it. The heavy scented candles will smell great even unburned. The lid also keeps dust and objects getting into the candle that add impurities to the wax. Don't see the scent listed above you want? Send an email order instead with the scent you want. The other scents are not in the list because they are limited time, but still can be easily ordered. and remember all soy candles burn about 50% longer than other waxes! You may break up the dozen into 6 each of two scents. We currently aren't able to offer free scent mixing with our shopping cart yet. But take advantage of this great deal! you get two whole votives free! Soy candles are made from all natural soy beans and vegetable based additives! Soy Tarts: Soy tarts are wonderful for use in all tart warmers. Melts evenly and disperses scent well. Check out our tea lights to make your warmer completely soy bases for a healthier home! Soy candles are more healthy than other candles and burn cleaner with very little soot! Soy tea lights: tea lights are great for smaller containers or use in decorative candle displays that have holders made for tea lights. They are also perfect for use in a tart warmer especially if you are using soy tarts. Soy tea light will last longer to get the most out of your tart and keeps the air smelling good without a lot of soot or chemicals. They come in the regular silver metal containers or you can get the clear container where you can see the wax through out. They can be scented or unscented. 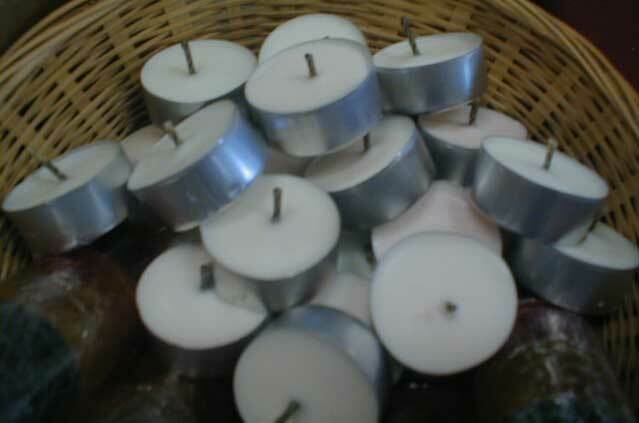 Check out our tarts to use with the tea lights! Soy Pillars: Pillars are great for large long lasting burning. These pillars will last a long time. Soy candles will burn completely in containers leaving you without extra wax to throughout and giving an even longer even burn! Custom: Have an idea or container you had in mind, let us know and we'll make it happen. Soy candles make great gifts for everyone & some people that are mildly sensitive to regular candles or may have allergies will be able to enjoy candles too! pictures may not look exact, they are for example only. some coloration may be different due to lighting, monitor settings, or other variables. 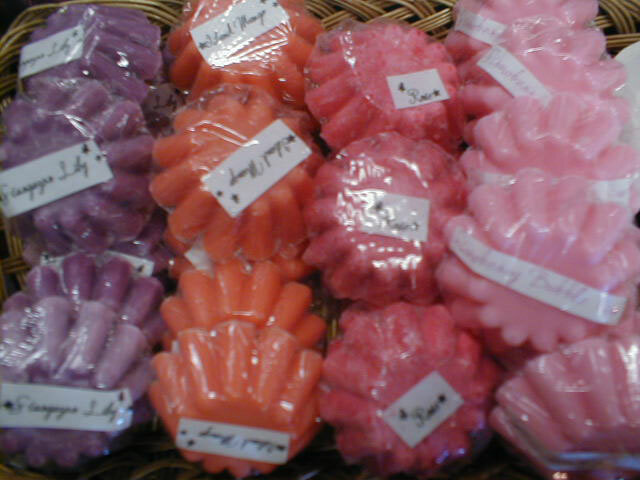 Check out our gel candles too!